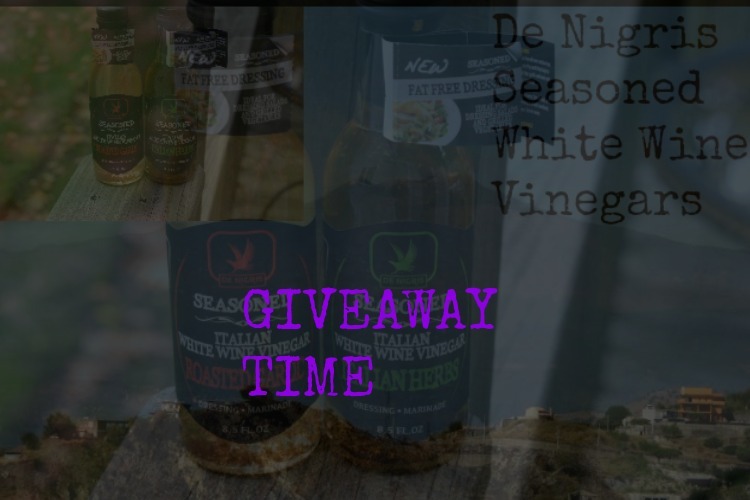 De Nigris Vinegars and a HUGE Giveaway! Three years ago, I finally got to visit one of my favorite places in the entire world, Italy. My husband is 100 percent Italian and had visited this country about 20 times prior to taking me. It was the trip of a lifetime and something I will never forget. While the people, decor, and atmosphere are absolutely stellar, one facet about the country that completely blew me away was the food! Every single time I had a meal in Italy, I walked away thinking that it was the best meal I ever had in my life. The Italian Vinegars used, the sauces, and the fresh meat made the food superb! While I am no longer in Italy and probably can’t create a meal like the one I have had in Italy, I can certainly try! One way I can try is by incorporating De Nigris Vinegars into my meals. I first heard about De Nigris Seasoned Italian White Wine Vinegars from my girlfriend who swears by the taste of them. She has made me a fantastic chili and used the seasoned white wine vinegar as a base. So when she told me about this, I had to head to Walmart to check them out myself. 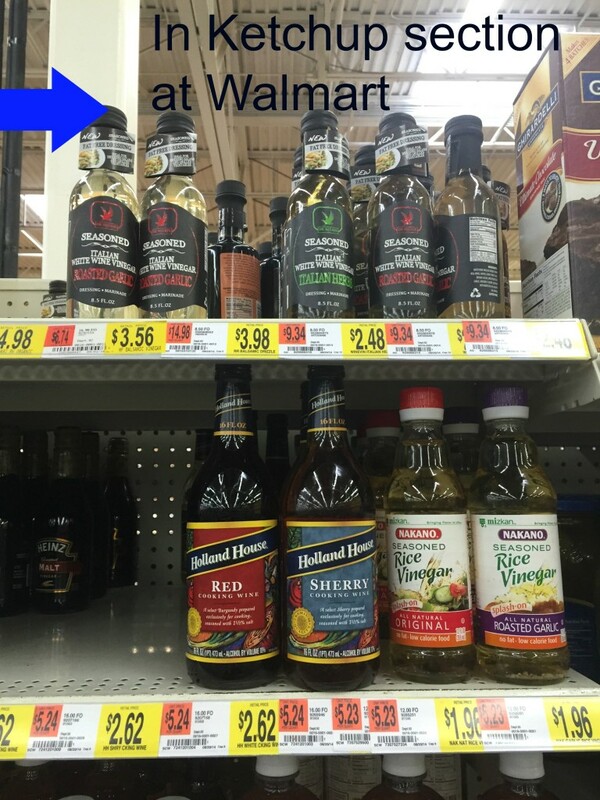 I was readily able to find them in the vinegar aisle next to the ketchup at my local Walmart. They had a few different varieties that all looked so unbelievably good. I decided to pick up the Roasted Garlic and Italian Herbs De Nigris Italian Seasoned White Wine Vinegars. I figured that I could use these vinegars in so many different ways, that picking up two bottles would last me a while, with all the cooking I do. When I got home, I had to open the bottle and just give myself a little taste. I opened up the bottle and put a small bit on my fingertip. Let me tell you that the taste is absolutely INCREDIBLE! Since it is made in Italy, it brought me back to the time I visited and the incredible foods I tried out while there. Best of all, this is a healthy seasoned white wine vinegar with all natural ingredients. Oh and if you are Gluten Free, do not worry as all their seasoned white wine vinegars contain no gluten. Of course when I first brought the bottles home, I instantly thought it would make for a wonderful dressing on any salad. However, De Nigris Vinegars are so much more than that. These seasoned white vinegars can be a base in so many meals. Just thinking back to some of the delicious Italian foods I had when I visited, I realized that most of them used a form of white vinegar as a base. Now, I can recreate so many of these delicious recipes such as Lasagna, Chicken Parmesan, Eggplant Parmesan, Baked Ziti and more. My husband is going to absolutely fall in love with me all over again after I use the De Nigris Vinegars to make him some hearty Italian meals. The recipe possibilities are truly endless because these Seasoned White Wine Vinegars are so versatile. 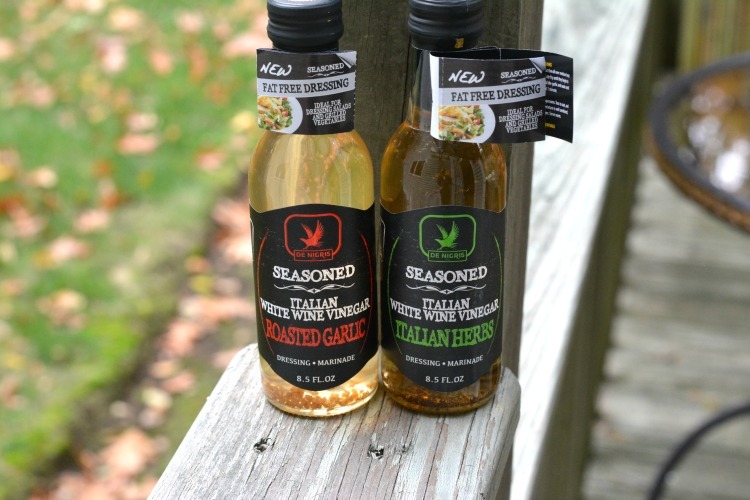 Whether you are doing a meat, chicken, fish, rice, or salad, you can readily add on the De Nigris Italian Seasoned White Wine Vinegars to give it an incredible taste. Drizzle it on or add into your recipes! The choice is yours but any which way, I can assure you that it will add incredible flavor to your foods. 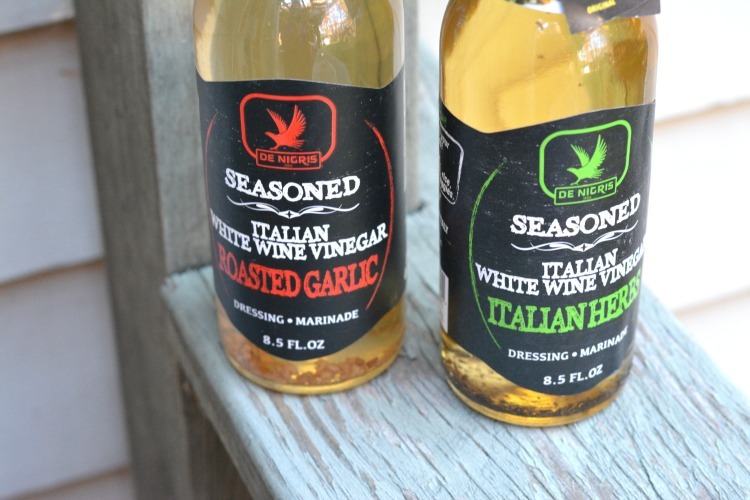 Be sure to taste the flavor of Italy in each bite of food when you use these seasoned white wine vinegars! De Nigris is a third generation family owned company so they truly know how to take care of the consumer. 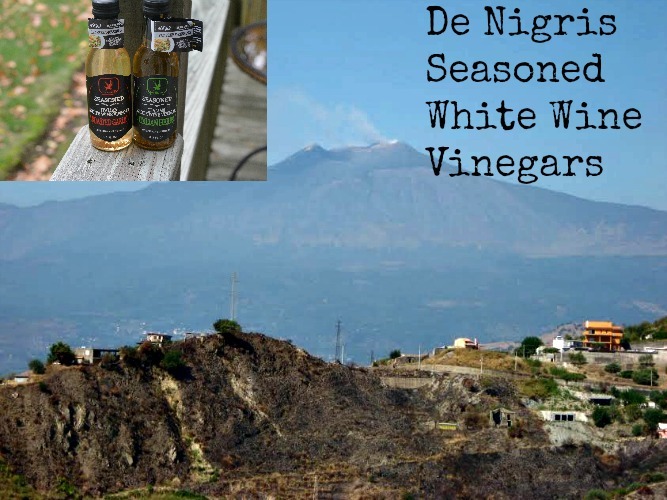 Now I can enjoy my two most favorite things in the entire world, my family and my love of food, simply by using De Nigris Vinegars in my recipes. I also know that I am getting a product that will go along with my healthy eating plan. De Nigris Vinegars can be used year round such as in my warm Eggplant Parmesan that I am going to eat tonight! 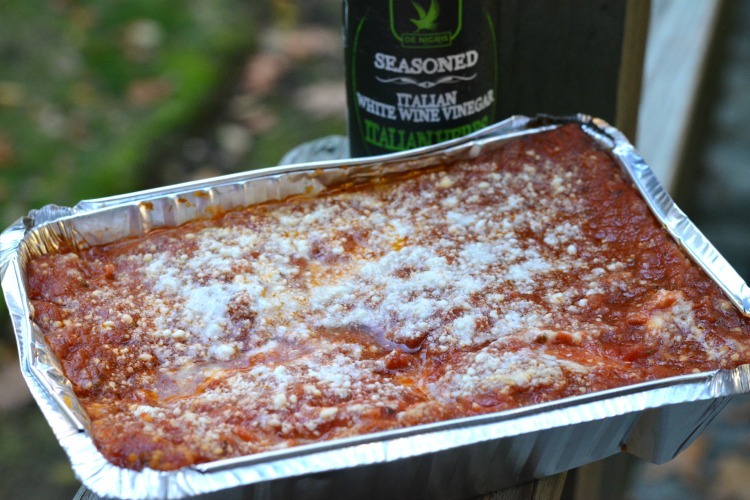 If you are wondering, this Eggplant Parmesan is so easy to do with De Nigris Vinegars. I simply mixed my sauce (I used jarred sauce) with 1/2 cup of Seasoned Italian White Vinegar. I then cooked my eggplant and layered it with cheese/sauce mixture. Keep layering and bake for 450 degrees F. In 45 minutes, your dinner will be ready! To learn more about De Nigris, be sure to follow them on Twitter and Facebook today! Be sure to fill out the entry form below and GOOD LUCK! Hayley is styling in her Kamik Boots! Apple Braised Stuffed Chicken for our “Friendsgiving” Dinner! Oh boy, now I really want to eat some of that! That looks amazing! That roasted garlic vinegar sounds amazing- I’ll have to check the condiments aisle, I am cooking a roast right now with a flavored vinegar! I love incorporating vinegar into my recipes! I use flavored vinegars all the time in my cooking. My husband will actually drink vinegar from the bottle! I would love to use the roasted garlic vinegar in my pasta sauce. I like how many flavor options there are!! I love vinegar! I always use it in my stir fry- and love to find new ones to try out! Wow, those sound amazing!! I love adding new flavors to my meals. I actually just picked up the Italian White Wine to add to several of my italian chicken dishes. Can’t wait to try it out! What an amazing giveaway. I’d love to try these in my recipes. Will they take me to Italy too? LOL! Best giveaway ever! Is it just hosted on your site or across multiple sites? This stuff looks AWESOME – can’t wait to try it! Yum! Wow. I could use all of these also. Fabulous prize. Vinegars are great. I love vinegar.. and am part Italian! vinegar is awesome….it cuts a sore throat.